"Welcome to the Jungle" introduces the contemporary art of Southeast Asia since 1999 showcasing 28 works (sculpture, painting, video, photography, and others) by 25 artists from 8 countries: Singapore, Malaysia, the Philippines, Indonesia, Thailand, Vietnam, Myanmar and Cambodia. Many believe that the arrival of Art Basel Hong Kong and a growing number of museums and commercial galleries showing international art on the mainland and in Hong Kong will broaden collectors’ taste for contemporary art. The Su Wenxiang-curated exhibition “Pessimism or Resistance” at Taikang Space encapsulates through it’s title an immediate atmosphere of political opposition. Yet the title appears dissociated from the exhibition itself as it lingers at the gallery entrance almost drifting like a soft cloud above the visitor’s head. Wang Xingwei’s paintings are not limited to a particular style or system; instead he repeatedly reaches back into the (visual) history of painting. By continuously disrupting and later reconstructing the timeline of painting concepts, Wang finds cracks that can be woven into an actual experience, consequently writing his own personal history of painting. In his work, Zhao Yao has established a sound and sustainable mode of exhibiting, which he describes as “serial performance.” Rooted from his suspicion regarding all formalized complacencies within contemporary art, his method allows him to engage in ongoing strikes against mechanisms throughout the exhibition besides his own working process. National Centre for Contemporary Arts (NCCA) organizes sculpture exhibition in The Hague, Netherlands. Until the end of October 2013, participating artists such as Alexander Brodsky, Vadim Zakharov, Oleg Kulik, Igor Makarevich and Elena Elagina, Recycle Group, Aidan Salakhova, Leonid Sokov exhibit their sculptures in the private museum Beelden aan Zee. First contemporary Russian art auction house “Vladey” to be opened in Moscow in May 2013 at the Red October art gallery space. The auction house’s founder, Vladimir Ovcharenko, managed to sell 42 out 54 lots to collectors, which included paintings, sculptures, graphics and collages, for more than €500,000 ($640,000) in total. 17 established Russian galleries from Moscow and Saint Petersburg organize a new art fair: “Art Space Event”. 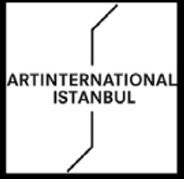 The main idea of the new art fair which is to take place twice a year, is to unite all galleries in one space and to give room to art depite showcasing the galleries themselves. Vadim Zakharov represents Russia on 55th Venice Biennale with an impressive installation called “Danaë”. Depite great satisfaction from the Russian art scene, the international art scene showed no reaction to Zakharov’s presentation in Venice. Just as every year, the Moscow art and architecture scene moves to Nikola-Lenivets village to attend the “Arch-Stoyanie” festival. Nikola-Lenivets is the only park in Russia that showcases landscape installations and land-art objects created by leading Russian and international artists. Many of them have become iconic figures for modern art.